I really enjoyed this. I think in part because of my nostalgia for being a theatre kid and the scenes where she does work with community theatre. I am also a theater geek who loved this! If anyone's wondering what program she modeled the class after, it's 52nd Street Project in Hell's Kitchen. Their shows are always so hilarious because you just can't top a kid's perception of the world when it comes to comedy. I enjoyed this. 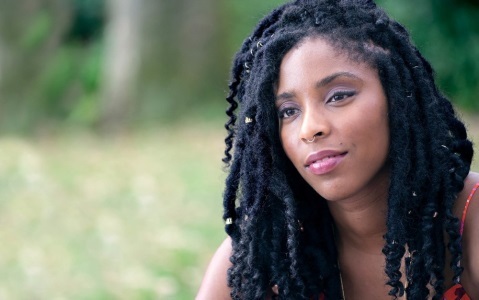 It's a light little movie, but Jessica Williams is wonderful. While I didn't really 100% buy her relationship with Chris O'Dowd's character, I liked their friendly chemistry. I imagine there's a draft of this movie where Williams' character was the graphic novelist she played in People Places Things, which is also an enjoyable, light movie by the same writer/director (and treads a lot of the same ground -- this dude needs to get over being divorced). This was very funny and just so refreshing. I liked O'Dowd's quip about paying the rent and Jessica's response and the dynamic of Jessica being the dumper instead of the dumpie. Lots of nicw touches big and small.